In April 1949 Anne and Rudi Landecker founded Pall Mall Neckwear . Using the finest imported Fabrics from Germany and Switzerland , Anne a seamstress made the ties and Rudi went on the road to sell them together with his Shoe range. The name Pall Mall originates from the meaning "a hand to hand scurmish" as it was a daily battle to build a company and a brand as an immigrant with little English .Rudi's Brother owned Lord Tie in Cape Town which Rudi bought from Him some time later. Rudi and Anne had 2 daughters Evelyn and Joan . Evelyn and her Husban Eppie ran Lord Tie in CapeTown until they immigrated and Joan and her Husband Bill Freedman ran Pall Mall in Durban . Sadly bill died in 2005 ,Tracey and Joan continued to run Pall Mall and today Tracey still enjoys consulting Joan for her experience and wisdom . Tracey is living abroad and focuses on the Export and Strategy , visiting customers , suppliers and Friends on a regular basis . Our Goal is to give service excellence to all customers ,offering superior quality products at a fair price . Ensuring efficiency and productivity at all times. 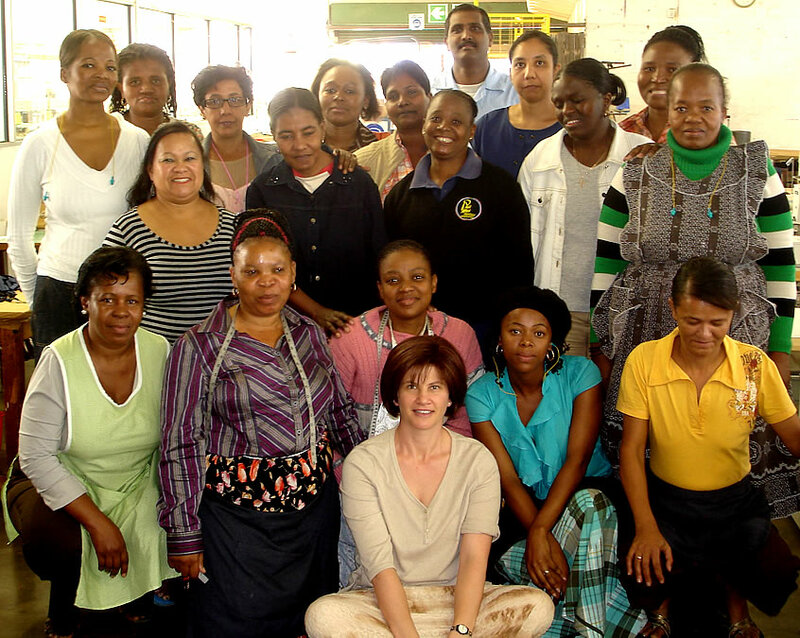 We value our staff , and the importance of creating sustainable employment in the clothing industry and stability in the company . We Value our Suppliers and ensure that together we give our CUSTOMERS the best possible service. Our Team from 2010 in our old Premises to 2015 in New Premises -We have grown !! Creating sustainable Jobs in the manufacturing industry ! Our Sales and Admin Team is capably headed by Diane Nundlal , Together with Miss mbali Mpofu our customers are given BEST service . Our Factory manager is well versed in the clothing and fabric manufacturing industy, he brings a wealth of experience and BEST practice to Pall Mall .With our Sublimation and CMT Divisions in his capable hands we look to future growth and being able to ensure that our customers achieve better service and delivery from Pall Mall then any other supplier . Our Tie and Embroidery Divisions are growing steadily under Cookie's capable management and we continue to strive for better service from suppliers and more efficient production . Our state of the art embroidery machines and imported fusable backing make our badges BEST quality . Dye Sublimation Machinery from Italy ensures our corporate garments and Ties are printed evenly and to BEST Quality . Our Tie Division is undergoing constant technological improvements with our newest arrival being a long armed label machine from Germany . We have to take this opportunity to thank our Unbelievable suppliers and consultants for their assistance in ensuring that our plant is continuously improvong and finding the most sophisticated machinery and for their continuous support and input .